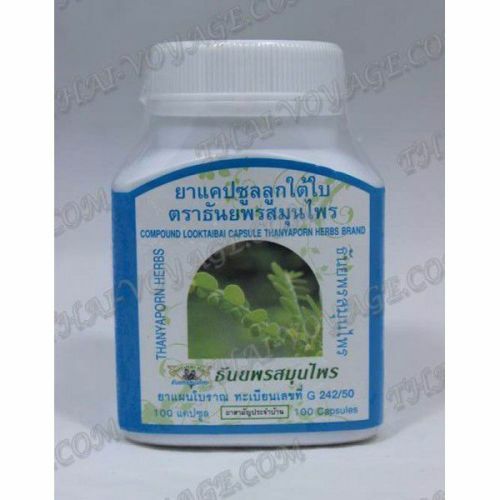 Capsules Looktaibai - Thai agent for treating liver. Herbal drug capsules. It is used for toxic liver damage, chronic hepatitis, cirrhosis of the liver, for the recovery after acute hepatitis, poisoning, drug intoxication, the liver and cholecystitis. It protects the liver from the adverse factors and toxic substances, accelerates the regeneration process, prevents fatty degeneration, has a choleretic effect. Composition: each 320 mg capsule Phyllanthus. It contains no other additives. Application: 2 capsules 3 times a day before meals. The course of treatment 1 month. As a precaution (after a hearty feast and drinking alcoholic beverages) Take 2-3 capsules after meals. Contraindications: individual intolerance to the drug.